Has Simon Harris flown too close to the Sun? In last week’s episode of Operation Transformation, a clearly miffed Taoiseach found out that his metabolic age was 53. If this was the case, then we might have wondered what the collective metabolic age of the cabinet - and in particular its youngest member, Simon Harris - had risen to by week’s end. By the time he arrived in the Prime Time studio on Thursday night, the Health Minister had already been well and truly through the mill. From the floor of the Dáil to the committee rooms in the basement of Leinster House he faced the questions head on, took a beating, but crucially avoided a knockout blow. Then came the release of documents throughout Thursday which took the problem of the budget being blown on the National Children’s Hospital from the realm of controversy to crisis. The documents left questions lingering throughout the weekend. Can Simon Harris survive what has been the biggest challenge of his political career? First came the minutes of meetings of the hospital oversight board. They showed that the two most senior officials in the Department of Health were aware in September of a potential cost overrun to the tune of €390 million. Those minutes raised the stakes for Minister Harris whose story up to that point had been that he was aware since August that there was "an overrun" but that he did not know "the scale of it" until 9 November. During that period, he said, the scale of it had "crystallised". These documents presented two scenarios. Either the officials had fairly robust figures and did not tell the Minister; or the Minister knew but did not tell the Dáil when he responded to questions on the issue, Fianna Fáil who his party was negotiating a renewal of the confidence and supply deal with or - more crucially - his Finance Minister who was in the process of forming his Budget. Then on Thursday evening the Minister himself released memos showing that his officials had, in fact, shared the information with him. In one memo marked "Children’s Hospital - Capital Cost update" marked "urgent" on 27 August, 2018, Minister Harris was told: "The current construction budget is estimated to be €191m over the value notified to the Government in April 2017." The memo gives a breakdown of these extra costs. It then goes on to say that BAM (the contractors carrying out the building work) had - just three days earlier - submitted "substantial additional cost claims to the value of approximately €200m" over and above the €191m. These were suggested costs, rather than definite ones. The memo said they would take "some time to consider" the submission for €200m and it would "need to be questioned". So the Minister knew in August that the cost would be at least €191m and potentially €390m above what had been agreed by Government the previous year. He told the Finance Minister on 9 November, according to the accounts of both men. Minister Harris’s defense is that, firstly, the information was not relevant to Budget discussions. He said the capital spending for the Department of Health had already been agreed earlier that year and that the Budget negotiations that were taking place were around "day-to-day" or current spending. He further argues that there was a high degree of uncertainty about the figures. That it was his job as a Minister to "quantify" the scale of the problem before passing it on to the Minister for Finance. "The job of a minister is not to be a messenger boy, getting a little bit of information and running and telling everyone," he said. But the revelations have prompted Fianna Fáil to claim that not only had it been misled during confidence and supply talks, but that the Dáil was misled when he replied, in response to a parliamentary question from Barry Cowen in September, that the hospital’s final cost would be the €983m that was agreed by Government back in April 2017. Micheál Martin has demanded an apology. Other members of the opposition raised concerns about competency. They said that the failure to alert the wider cabinet, or at least the Minister for Finance, indicated a "dysfunctional" way of managing state spending by a Fine Gael party "asleep at the wheel". Questions are now being asked about whether Minister Harris can survive the biggest crisis of his still fledgling ministerial career. It has frequently been the case in this country that resignations are determined by politics, rather than principle. There are two political forces at play that might determine Mr Harris’s fate. The first is Fianna Fáil. 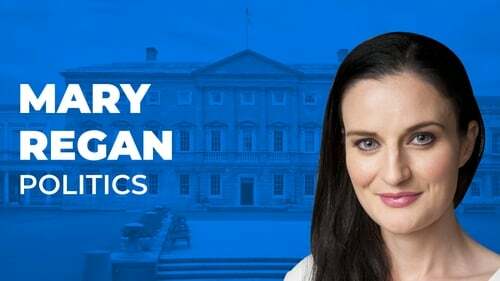 There is an underlying concern in the party that it could become collateral damage because it will be seen to be keeping Simon Harris in place, despite the many reservations about how he handled this issue. The worry goes along the lines that if you go in to troubled waters to save a drowning man you could end up drowning yourself. But this is a worry that has long since become an accepted part of the confidence and supply deal. No matter how unpalatable, it is better than the alternative. Seeking the Minister’s resignation would achieve little for Fianna Fáil other than collapsing the confidence and supply deal itself thereby causing a general election weeks before Brexit day. That is why there is little appetite in Fianna Fáil to go down this road. The other force that could oust Minister Harris comes from within his own Government. Remember it was the Taoiseach who ultimately sealed the fate of Denis Naughten when he decided the broadband controversy was damaging to his Government’s reputation. Leo Varadkar gave his firm backing to Simon Harris on Friday but conceded that the controversy of the Children’s Hospital has damaged "faith and confidence" in the Government. Exactly how much damage will become clearer after TDs spend time in their constituencies over the weekend. If a point is reached where the damage can no longer be carried, that Minister Harris and his handling of this issue becomes too much of a liability - particularly entering an electoral cycle - then a decision would be made to cut him loose. But to lose a third minister would reflect poorly on Leo Varadkar’s leadership. That point will be reached if there is another damaging revelation. Even if there isn’t, all sides in Leinster House believe there is more to be played out in this controversy - starting with the decision of what other capital projects will be sacrificed to pay for it. The coming weeks will be a crucial for Simon Harris. Does he survive and go on to fulfill the promise that brought him to the toughest ministerial office when he was still in his twenties. Or will he be the Icarus minister, whose ambition brought him to great heights, but who flew too close to the sun?